Bat Guys Wildlife Service-Professional, Certified, And Licensed Animal Removal Services. BatGuys has successfully completed animal removal and bat exclusion projects ranging from small cottages, to multi-level commercial buildings, to historic waterfront mansions. We have put together an extensive list of both residential and commercial references from our wildlife management projects. When considering hiring us for your animal control/exclusion project, you will be presented with a custom-tailored proposal, a list of references and also a showcase of a project like yours that we have successfully completed in the past. This showcase will provide a step-by-step look into an animal control project that is similar to yours with descriptions and photos of the entire project. BatGuys carries both general liability and workers compensation insurance. Copies of both certificates are always available to our customers. BatGuys is a certified bat removal and bat exclusion contractor with Bat Conservation International, the worldwide authority on bats and bat conservation. BatGuys is a member of the National Wildlife Control Operators Association. NWCOA is a national organization that promotes professionalism, integrity and ethics in the wildlife management industry. BatGuys' business model adheres to the NWCOA Code of Ethics. Massachusetts Association of Problem Animal Controllers. MAPAC is the Massachusetts chapter of NWCOA. 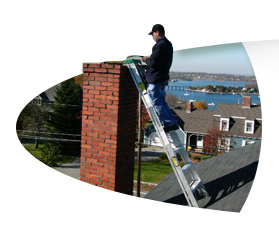 BatGuys technicians are fully licensed in both Massachusetts and Rhode Island. Both states have strict licensing guidelines for wildlife removal. Technicians must hold their own individual license to legally perform animal control and wildlife removal services. In addition to his extensive experience in the wildlife management industry, BatGuys founder Matthew Grady has years of experience in the construction trades and holds an Unrestricted Construction Supervisors License (aka Massachusetts General Contractors License). This allows us to legally provide wildlife exclusion and damage repair/cleanout services to your home or building. BatGuys is recommended and referred by numerous area police departments and animal control facilities across Eastern Massachusetts and Rhode Island. BatGuys technicians also attend industry seminars and workshops to keep up with the latest wildlife management technology. If you have any questions regarding anything on this website, please contact us directly using the information provided below.